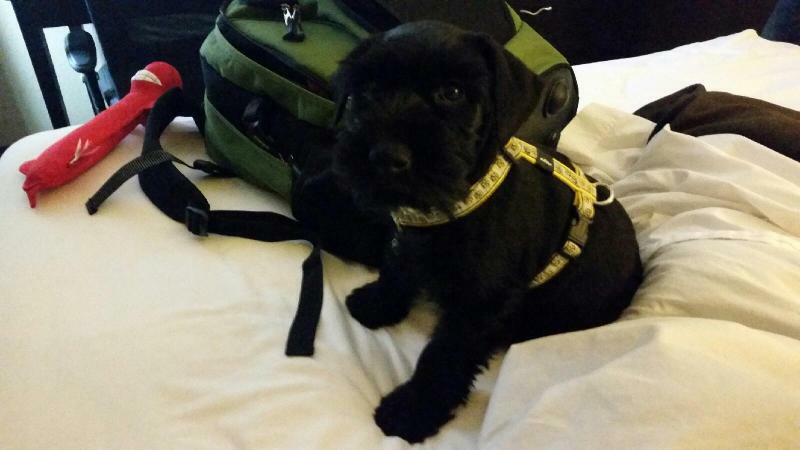 Sophie is a standard schnauzer we drove 24 hours to pick her up and meet the breeder and parents. 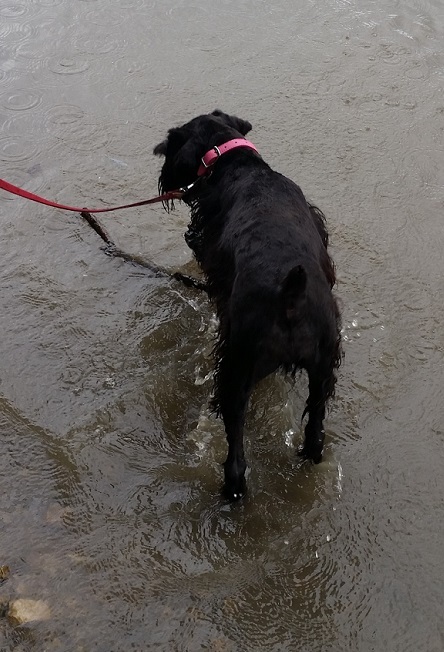 Sophie is a very solid, well muscled 40 lbs, she stands 21" at her shoulder. Sophie's Mom stood 20" at the shoulder and weighed 43 lbs as well. Sophie's Dad was smaller with a height of 18" and weighed 32 pounds. This girl has a sweet temperament, she is very smart, loves everyone but also love chasing our chickens when not watched. Top and bottom pictures: Sophie at eight weeks old. 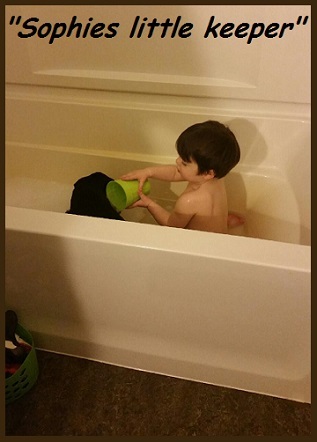 Sophie jumping into our 20 month old grandson's bath. Hoping her size helps us protect this precious little boy. Hunter adores her and they are the best of buds. Sophie is very gentle with her even when Hunter wants to rough play with her. Above are Sophie's parents.The father has cropped ears and the Mom has natural ears. Both have a soft american coat, both are registered AKC. 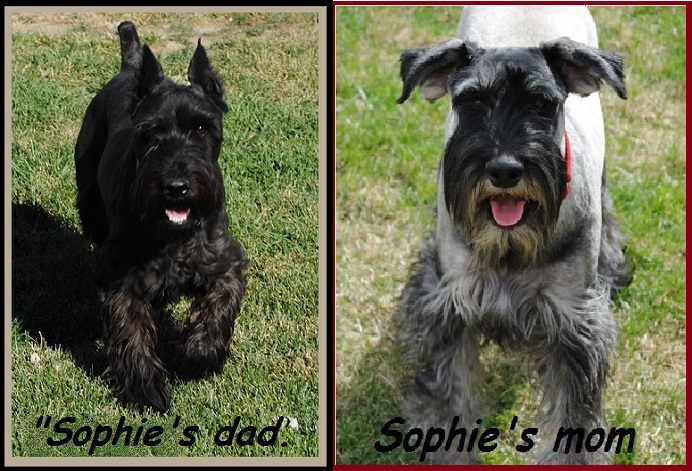 Below: Sophie has turned out to be a beautiful schnauzer and looks a lot like her Dad but with more of her Mom's size. She adores all of our dogs and although she stands 6-7" taller then the rest and out weighs them by 20 lbs she is never mean. 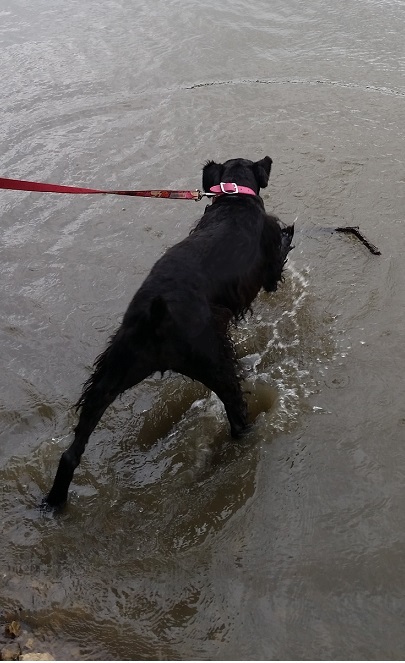 She is a dog who is all about fun. 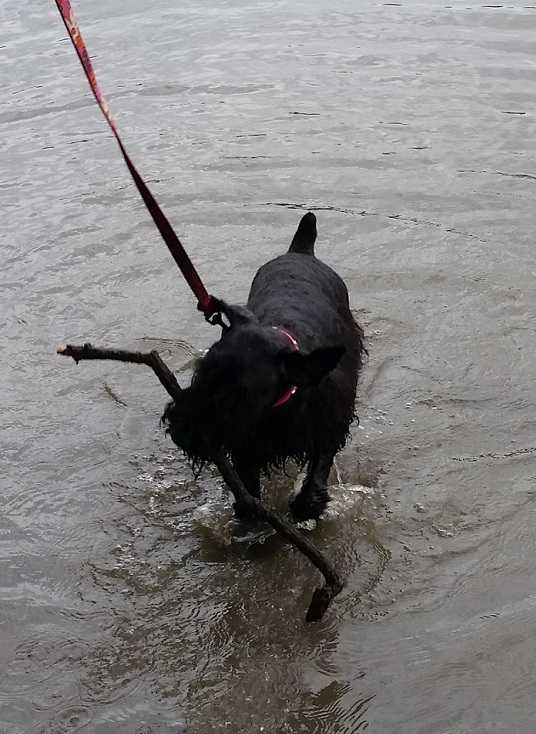 Sophie loves water and will retrieve sticks, balls or her toys out of the lake. This girl is often found laying down in the doggy pool. Her bark is louder but she isn't a yappy dog. She is fine with strangers and loves and guards the grandbaby. 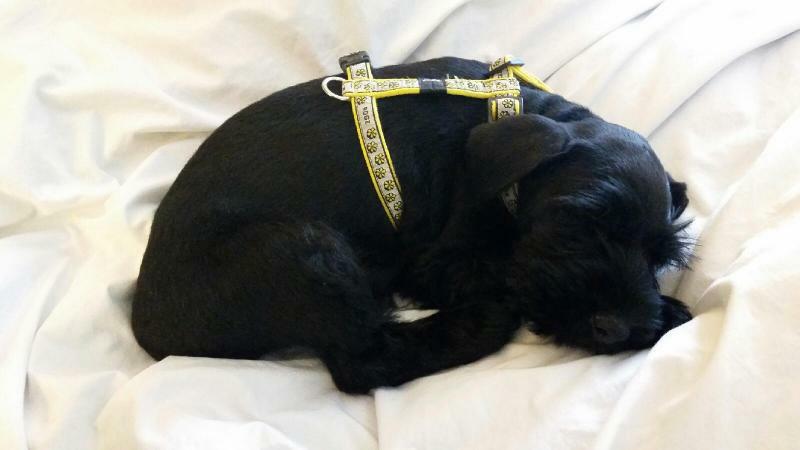 Sohpie has a nice fluffy coat but it is the typical standard schnauzer coat which isn't as hard to look after as some of the miniature coats. This pup eats twice what the miniatures do and does have a bit more energy. I adore her and love her size even if she can be a bit goofy when all you want is a cuddle. Outside Sophie LOVES to bounce and is forever looking for someone to play with. On a leash she is a dream dog, well behaved. She ADORES the grandson who is now 4 years old and loves to walk her around the house or back yard on leash. The one thing that has really impressed me is I haven't had to push leadership with her. She is good at feeding times with the other dogs and doesn't bully the smaller ones.